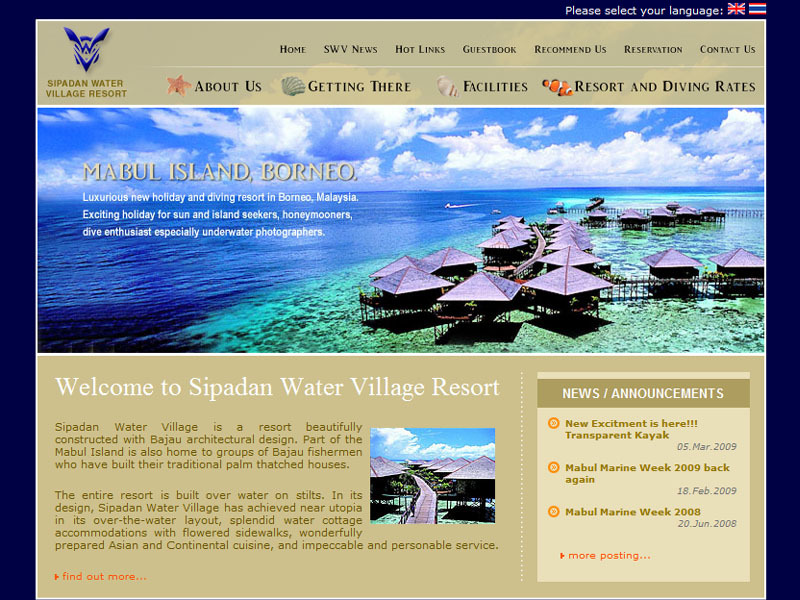 The web site of Sipadan Water Village resort, the resort where I stayed the 2 times I've been to Sipdan in 2007 and 2009. Very nice resort, as you can see. 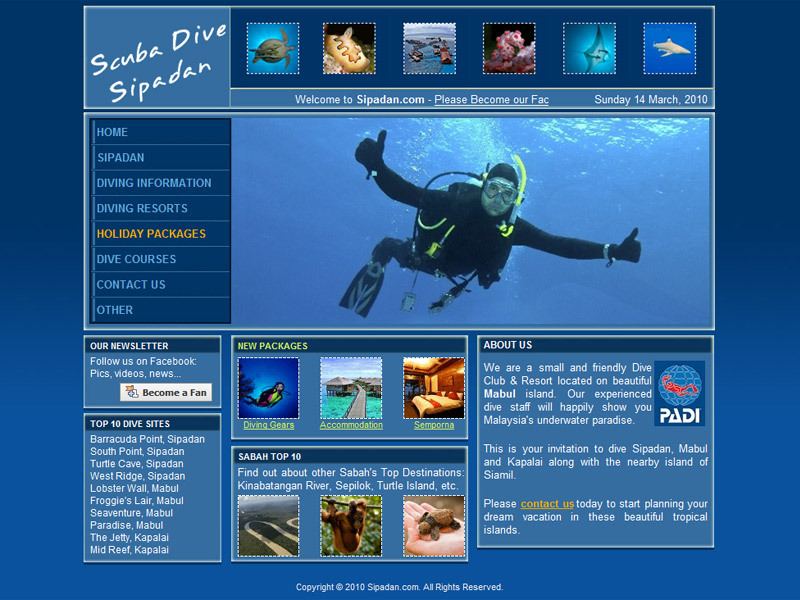 On this web nice website, you can find the only budget resort in Mabul Island, the Panglima's longhouse. If you wish that yur site to be listed here, please contact us, to propose a link exchange.